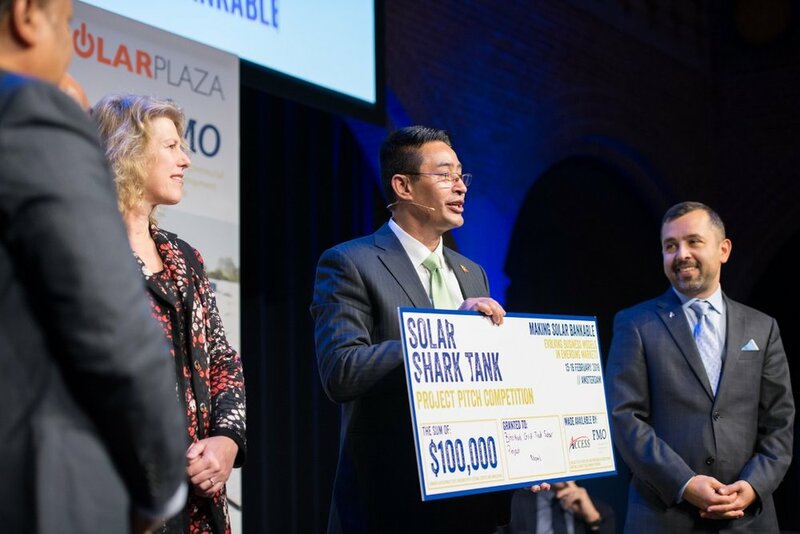 Making Solar Bankable will return for a third edition in February 2020. Stay tuned for announcements and updates! 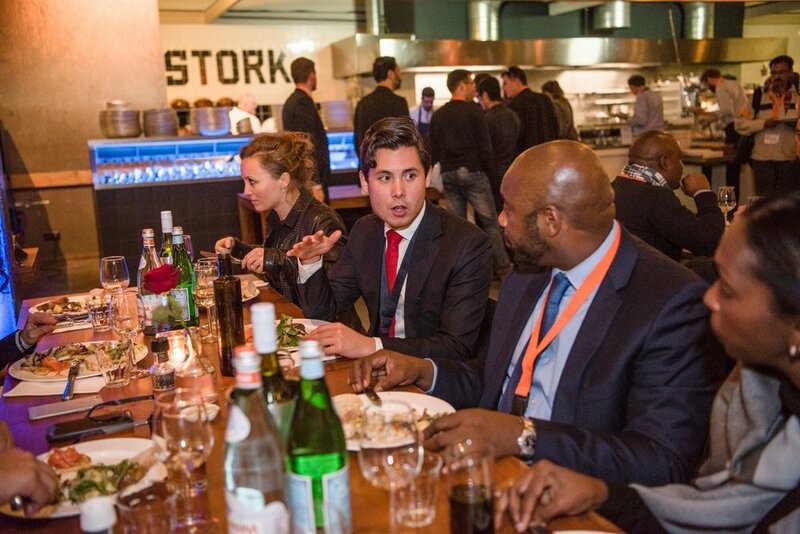 Making Solar Bankable is not your average gathering. 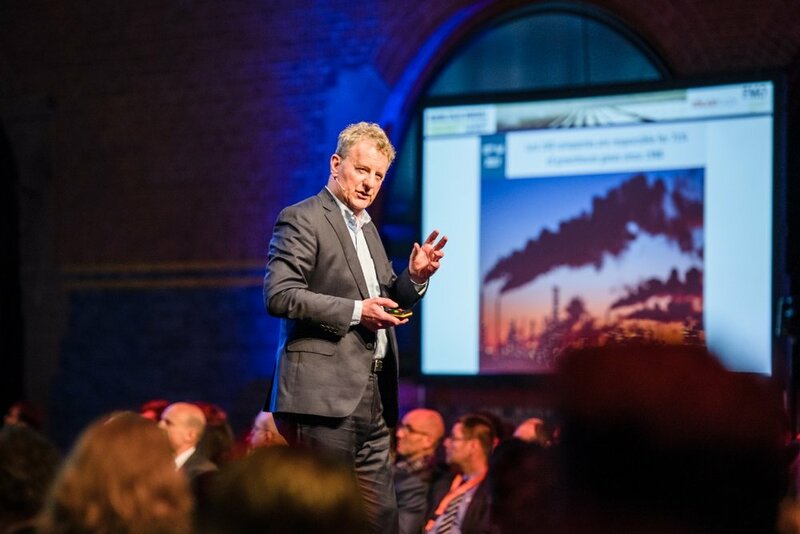 500+ project development & finance executives from 40+ different countries came together again on 15-16 February 2018 in Amsterdam. 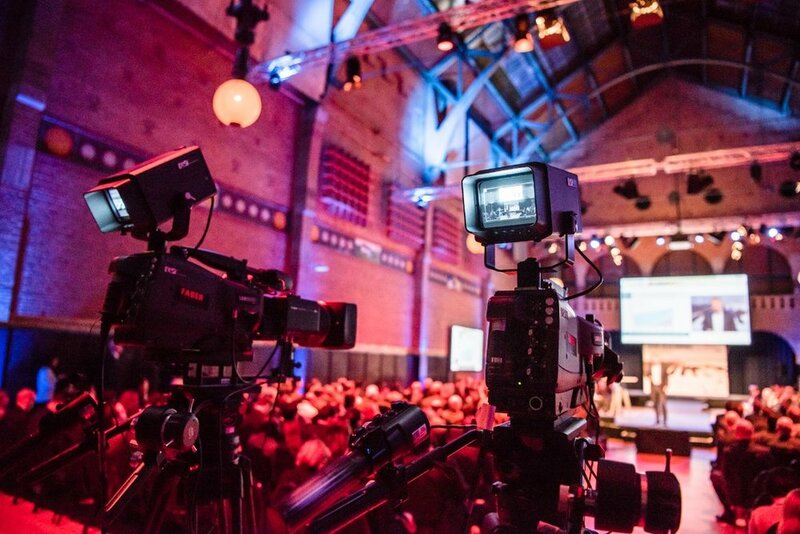 Through unique network facilitation and focused sessions per segment you’re sure to get enough leads and insights to fuel your business for months. 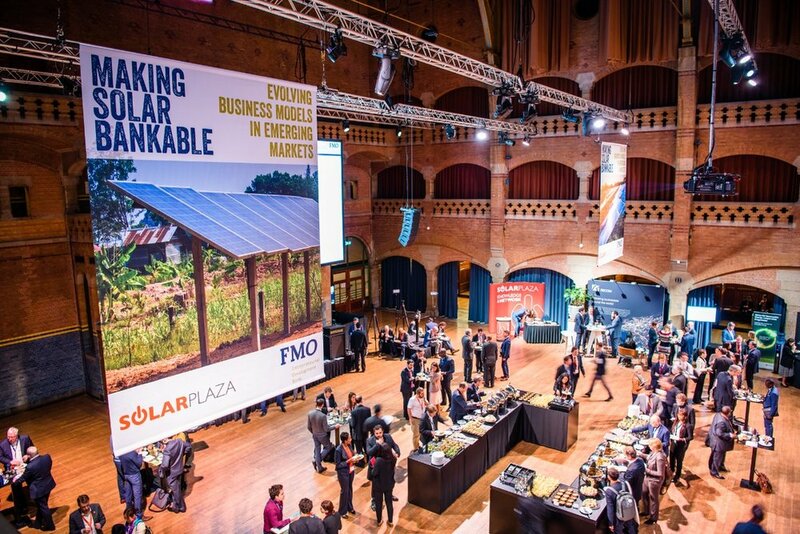 Organised by Solarplaza and FMO, and widely supported by over 20 of the world’s largest industry players and finance institutions, this event is not to be missed by anyone involved in solar project development in Asia, Africa or Latin America. Where will solar PV applications go next? What are the benefits of the various different models for solar PV development in emerging markets? 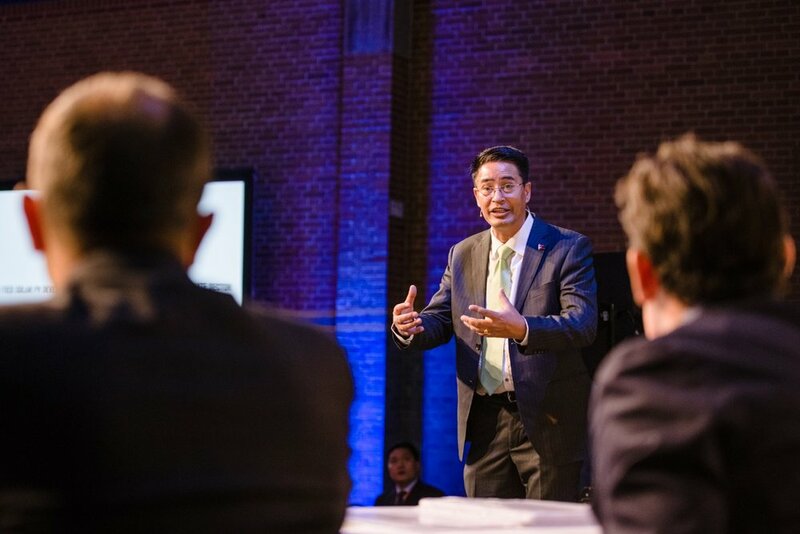 How can innovation play a role in accelerating the adoption of the technology and the evolution of business models? These are all questions that stakeholders in emerging markets are constantly asking themselves. Whatever solar PV does or wherever it’s planning on going, one thing is for sure: the future of solar PV looks as bright as ever, with solar power even outshining other forms of renewables over this past year. 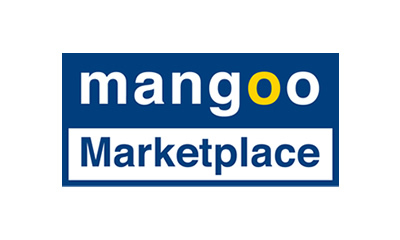 The purpose of this paper is to give an overview of the evolution of business models in emerging markets. To provide a clear picture, we have highlighted and analyzed eight innovative companies and business cases set in developing solar markets. 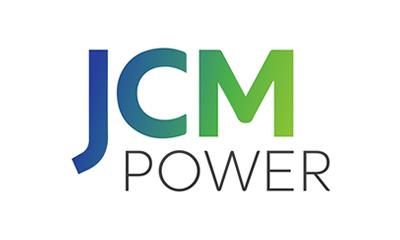 We have compiled a list of company profiles, describing the focus of their businesses, their future outlooks and the different ways that innovative business models can be combined with solar energy. The clean energy revolution is unfolding at an incredible pace, much faster than most people realize. This is particularly apparent in emerging markets, where we see a wide range of evolving business models and financial structures driving prices for solar PV applications down to the point where it is already the cheapest technology available. Moreover, there is an abundance of both private and public sector capital available for solar PV projects in Asia, Africa and Latin America. Financial structuring of deals, however, remains to be a critical challenge in having the readily available capital flowing into bankable projects. As a prelude to Making Solar Bankable: Evolving Business Models in Emerging Markets, we will host a complimentary webinar on October 10th at 5pm CEST. Two of the industry’s leading experts will explore the evolving landscape of solar PV in emerging markets and dive into the possibilities for financial structuring of PV projects. PAST Webinar: How much solar can emerging markets actually handle? Solar energy has become a very attractive option for emerging markets in Asia, Africa and Latin America. With falling prices, new government initiatives and new business models, the opportunities for solar seem endless. However, intermittency issues and curtailment risk threaten this growth of solar energy in emerging markets and need to be addressed. 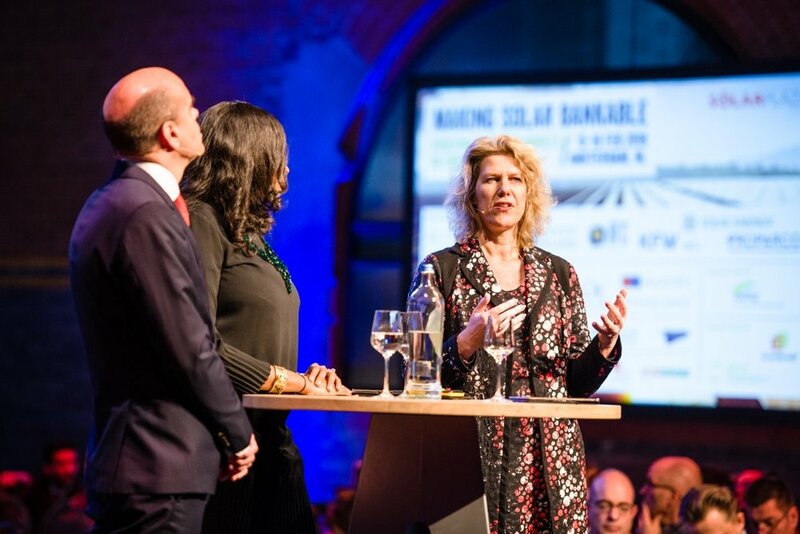 In the run-up to ‘Making Solar Bankable - Evolving Business Models in Emerging Markets’, we’re speaking to Emmanuelle Matz of Proparco (part of AFD - the French Development Agency) to speak about their solar development & financing related activities in emerging markets in Africa, Asia and Latin America. 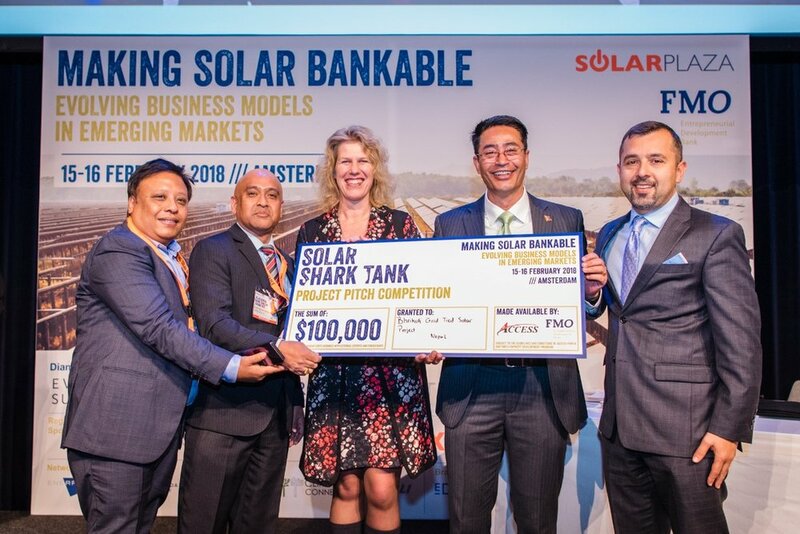 The Hague, Netherlands – Dubai, UAE, 20th November 2017: FMO, the Dutch development bank, and Access Power, a leading developer, owner and operator of power projects in emerging markets, today announced the launch of the 2018 FMO Access Power Solar 'Shark Tank' Competition following the competition’s successful first installment in 2016 at the ‘Making Solar Bankable’ conference. On the 10th of October 2017, Solarplaza hosted a webinar on solar development in emerging markets: The Evolving Landscape of Solar PV in Emerging Markets. 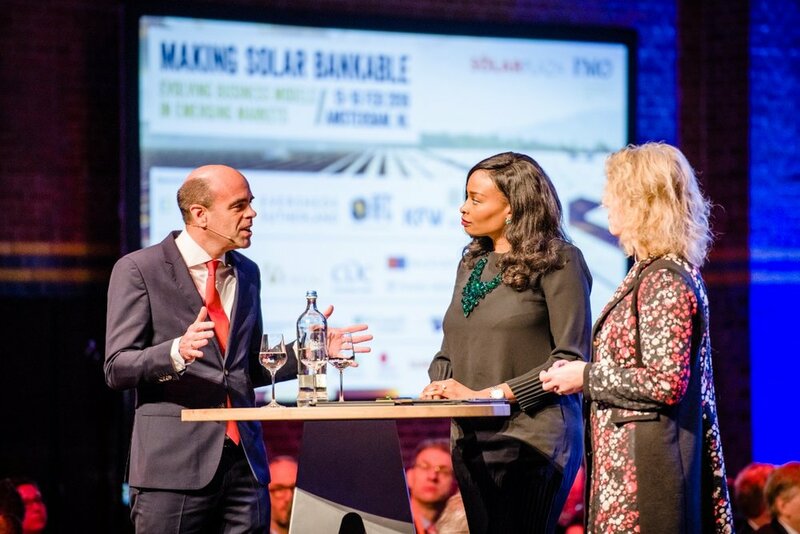 It was organized in the run-up to the 2-day Making Solar Bankable conference in Amsterdam, the Netherlands on the 15th and 16th of February 2018. We’ve compiled an overview of the top 50 solar PV projects in emerging markets with the purpose of showing the market potential of solar power in developing regions in Asia, Africa and Latin America. Therefore we excluded the more advanced and developed solar markets in Asia (China, India, Japan), North America and Europe. This list of solar PV projects comes in preparation of our 2-day conference, Making Solar Bankable set to be held in Amsterdam on the 15-16th of February, 2018. Developers are beginning to find there is plenty of space for solar between North and South Africa. Today, at the COP21 in Paris, the Climate Investor One facility was officially launched by the Dutch Minister for Foreign Trade and Development Cooperation, Mrs. Lilianne Ploumen. 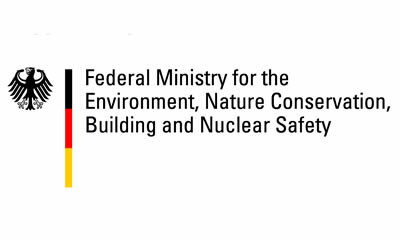 Representatives of the United Kingdom’s Department of Energy & Climate Change (DECC) and Denmark's Export Credit Agency (EKF) attended the ceremony. The end of the first week of the Paris climate talks is approaching, with limited progress reported so far. Carbon Pulse continues to publish updates throughout the day of key developments in the negotiations as well as on the sidelines. Over the next few years the Netherlands is to provide access to green energy for 50 million of the world’s poorest people. The plan is outlined by foreign trade and development minister Lilianne Ploumen in the government’s response to an independent evaluation of her climate policy, which was sent to the House of Representatives yesterday. The conditions in the Vietnamese markets including its high solar irradiation, growing electricity demand, and potential risks associated to energy generation through carbon-based fuels, provide an excellent potential for the development of solar PV projects. Thailand’s 2014 military coup has had “virtually no impact on the legal side,” insiders say. “Arise, shine for your light has come,” reads a sign at the entrance to the first major solar power farm in east Africa. The 8.5 megawatt (MW) power plant in Rwanda is designed so that, from a bird’s-eye view, it resembles the shape of the African continent. “Right now we’re in Somalia,” jokes Twaha Twagirimana, the plant supervisor, during a walkabout of the 17-hectare site. A carbon tax law currently under discussion in South Africa will likely benefit solar even though there is uncertainty over some details. 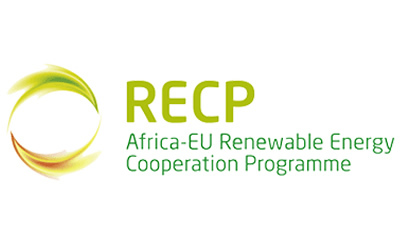 With the ongoing talks in Paris on Climate Change and new energy crises happening as the region prepares for its summer, it becomes clear that clean energy is on top of the minds of stakeholders in the Southern African region. Latin American solar markets in Brazil, Chile, Colombia and Central America are garnering plenty of attention. Where is next? We all know the story of how mobile phones took off in emerging markets. Suddenly small cocoa farmers in Africa who never had a landline or a computer were checking commodity prices on their smartphones. U2 frontman Bono pays a visit to American-owned Gigawatt Global facility in Rwanda. DFIs have been investing for some time to support African infrastructure development. As financing becomes more available and new players are emerging, governments and DFIs must focus on nurturing new projects. Concerns over low-quality components being used in the scramble to finish plants comes amid questions of what bankability really means. Up from just 5% in 2013, the International Renewable Energy Agency (IRENA) says renewable energies could meet 22% of Africa’s energy needs by 2030. As a development bank, FMO routinely carries out impact studies, in order to assess the value and impact of FMO’s investment in a certain area. THE LAB - The UK government has announced a £50 million commitment of existing funding to the Climate Development and Finance Facility that will help fast-track renewable energy projects in developing countries. The appetite for solar may be growing in new markets, but that does not mean local funding is always easy. The ability to bring international funding looks set to remain a critical success factor for developers in emerging markets even as industry bankability grows elsewhere. “If you look at what has been happening in emerging markets, on projects currently being built, the big majority have international financing… mainly multilateral financing,” said Josefin Berg, senior analyst for solar demand at IHS Technology. The Inter-American Development Bank (IDB) has approved a USD 55.7 million loan from its ordinary capital to finance the construction, operation and maintenance of six solar photovoltaic (PV) plants and their related facilities in Uruguay. Concern emerges over whether the government will keep its promises. Solar project developers are rushing to complete projects this month amid fears that the government may go back on its feed-in tariff (FiT) promises. Two years ago the country launched a FiT of USD$0.18 per kilowatt-hour, over 15 years, for solar projects completed before August 2015. Foreign investors could be the key to helping India achieve its ambitious goal of installing 100 GW of solar by 2022, according to experts. UPSIDES - Tanzania. Despite its high annual growth rate of 6.8 percent and its recent transition to a market economy, access to electricity is scarce and expensive, especially in rural areas. Electricity from renewable sources represent zero percent of total installed capacity. This is where Devergy comes in. The energy services company started its operations in Tanzania in 2012, providing highly efficient, reliable and affordable micro-grids in rural off-grid communities. UPSIDES - At its governing body meetings last month, the Climate Investment Funds (CIF) unanimously endorsed Ghana’s ambitious investment plan to transform and promote its renewable energy sector. 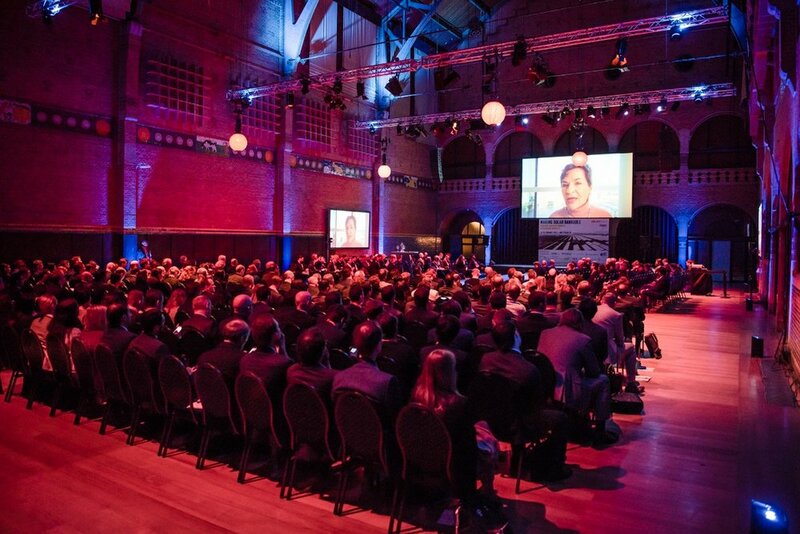 The international 2-day event will involve 500+ high-level decision makers from around the world.